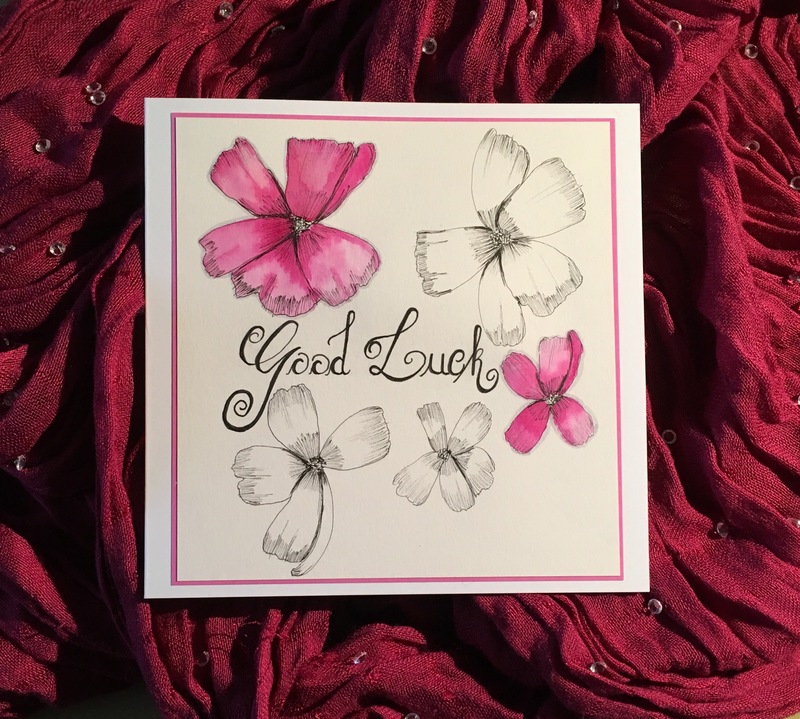 I made a card yesterday, floral line drawing, faux calligraphy and Watercolour painting. It was a Good Luck card for a colleague who was leaving work. I took a picture of it, posted it on Instagram and then placed it on my craft table. All was going well, I started my next project, my galaxy not so far far away. Lots of dark inks…….can you see where this going? I placed my ‘clean’ paintbrush (cleaned in now blue water) on the top of a box to dry. I didn’t link the fact that my newly finished card was underneath. As it was watercolour I tried to rub it down (gently ofcourse) with a baby wipe but it bobbled the card. So I made another card. All was well and my colleague liked it.